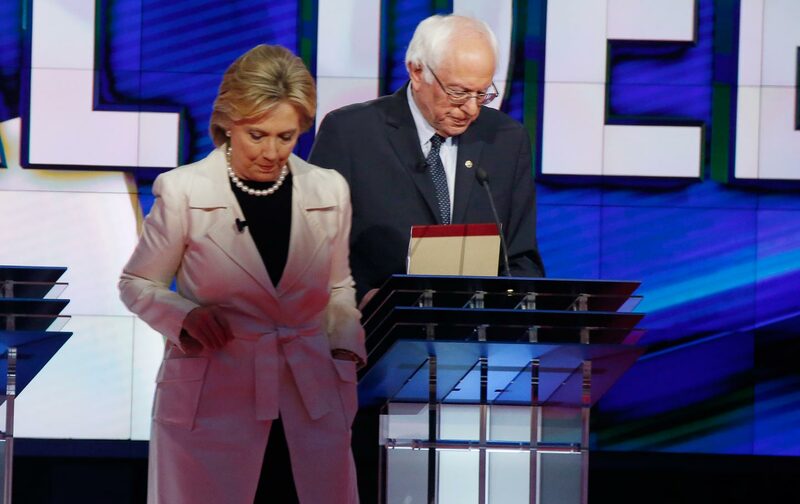 At last night’s debate, Clinton offered a grudging apology for “unintended” outcomes. Sanders wasn’t pressed on his vote for it—and he should be. I say this as someone who thinks—in fact, knows—that the effects of the federal crime bill on mass incarceration are exaggerated. I say it as someone who quarrels with the simplistic notion peddled by some Sanders supporters that the bill was intentionally designed by the evil Clintons to result in what Michelle Alexander rightly calls “the new Jim Crow.” Decent people, concerned about an increase in violent crime that was terrorizing African-American neighborhoods, including most of the congressional Black Caucus and Bernie Sanders, supported the bill. Prescient, decent people opposed it. I would love to see a serious reckoning with what so many people got wrong—and Clinton missed that opportunity. If we miss it in the Democratic primary, then we’ve missed it, because it’s not going to come up in a general election debate with a Republican—except to debate whether it went far enough. Clinton also missed an opportunity to open her heart on the issue, especially to a younger generation of African-American activists who cannot understand why she would continue to defend a bill that looks so intentionally terrible in hindsight. I worry that expectation exists because she’s a woman, but I also believe doing so would help her. To his credit, Sanders admitted he’d voted for the bill. I admire Errol Louis, but I wonder why he didn’t mention that Sanders was the only one on stage who was in Congress at the time and actually had a vote. But the Vermont senator didn’t choose to reckon with the complex, charged politics of the time, either, as he answered Louis. He didn’t explain why he once supported increasing penalties for crack cocaine beyond those for powder. He didn’t explain his comments that seem to me a variation on Clinton’s charged “super-predator” remarks—“there are people in our society who are horribly violent, who are deeply sick and sociopathic, and clearly these people must be put behind bars in order to protect society from them.” He didn’t explain why he’d touted his support for the crime bill in his 2006 campaign for Senate. Instead, he took a shot at Clinton, when Louis asked why he criticized her husband’s recent (dumb) defense of the super-predator comment: “It was a racist term, everybody knew it was a racist term.” Since Clinton has already apologized for using the term, and since Sanders has had his own racial stumbles in this campaign—won’t someone tell him to stop diminishing Southern Democrats, most of whom are black?—it felt like a cheap shot. It’s probably too much to ask that these two Democrats, one solidly liberal, the other clearly to her left, engage in an actual debate about what the bill was designed to do, what it did do, and what we should do now. Clinton quickly made the point that her very first speech as a candidate was on mass incarceration. That’s true. At the time, I saw it as an implicit apology for what her husband’s administration got wrong. At the time, I thought it was enough, but now I’m not sure it is. I say this as a Clinton supporter who gives both the candidate, and her husband, credit for grappling with the ugly reality of both national partisan politics and urban crime in the 1990s, when Sanders was somewhat protected from both in heavily white, barely urban Vermont. They wear the scars that come from battle, which the Vermont senator mostly escaped. But if she’s going to rely on the African-American vote to win the nomination, and likely the presidency, I think she owes all of us more candor, and insight, about the way it really happened. In fact, they both do.